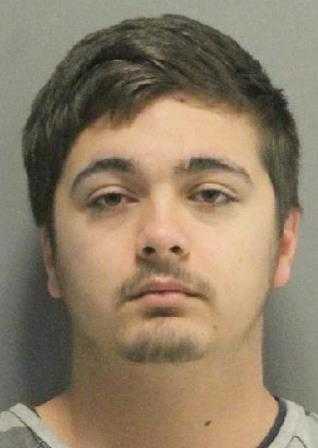 District Attorney Warren Montgomery announces that a St. Tammany Parish jury found Daniel T.
Hamilton (19) guilty Friday (March 29, 2019) of second degree murder for shooting his stepfather to death in their Covington home in 2016. The jury also found Hamilton guilty of two counts of solicitation for murder for planning to have the victim’s brother and sister-in-law killed because they requested that his bond be revoked so that he could await his trial in prison. Daniel Hamilton faces mandatory life in prison when he is sentenced on May 20, 2019. The jury deliberated about 1½ hours before finding Hamilton guilty of killing James “Kenny” Hamilton and of planning to kill his aunt and uncle. Prosecutors told jurors that Daniel Hamilton shot his father six times in the back of the head with a .22-caliber gun on Friday, March 4, 2016, as the elder Hamilton sat in a chair in the family room and finished his evening meal. Prosecutors presented text messages showing that the father had refused his son’s request the preceding week to borrow his truck. After killing his father, Daniel Hamilton fled in his father’s truck to a pizza parlor in Abita Springs, where he joined friends about 8:30 p.m. He also tried to use his father’s debit card at a Wal-Mart. Daniel Hamilton then spent the next two days, drinking and partying with friends at a hunting camp. He tried to sell the murder weapon to his friends and allowed them to shoot it. Daniel Hamilton even returned to his father’s house with his friends, refused to let them inside, and passed his father’s dead body to retrieve a Play Station game system, which he and his friends took to various stores to sell. James Hamilton’s body was discovered the following Monday, three days later, when he failed to show up for work, and family members and friends went to check on him. The murder weapon was located at the hunting camp, where Daniel Hamilton had spent the weekend, and it was under a sweatshirt that he had been wearing. After his bond was revoked and he was sent back to prison to await his trial, Daniel Hamilton talked to another inmate and to his girlfriend about having the aunt and uncle killed. He also confessed to an inmate and said his only regret was that that he didn’t look his father in the face when he shot him.